AiCN talks Season 2 fight sequences and fandom with Iron Fist’s Finn Jones. The Way of The Exploding….Iron Fist. 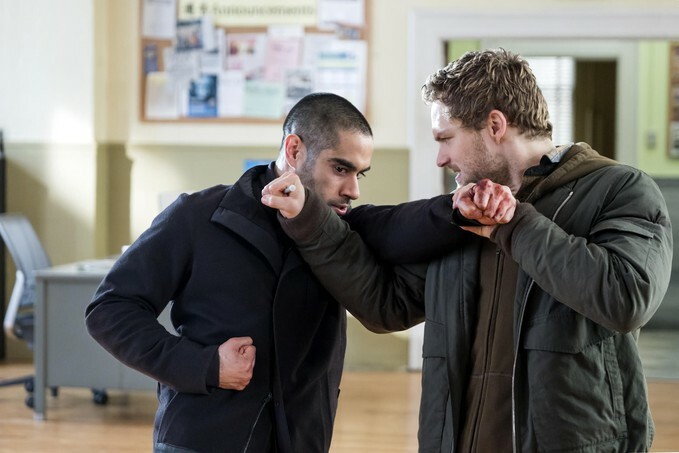 It’s safe to say that Netflix’s ‘Iron Fist’ Season 1 had a mixed reception, much of it being less than positive and with particular emphasis on the sub-par fight sequences….not a good outcome for a TV show where the titular character is the premier martial artist in the Marvel universe. With subsequent appearances in ‘The Defenders’ and ‘Luke Cage’ Season 2, positive feedback has grown with each appearance, leading to early reviews of the new season of Iron Fist almost all pointing to a marked improvement over previous outings. Casting a non-martial artist in the titular role was always going to prove challenging but actor Finn Jones has risen to that challenge, along with co-stars Jessica Henwick and Sacha Dhawan (Davos), with Henwick, in particular, drawing strong reviews for her portrayal of sidekick and love interest, Colleen Wing. 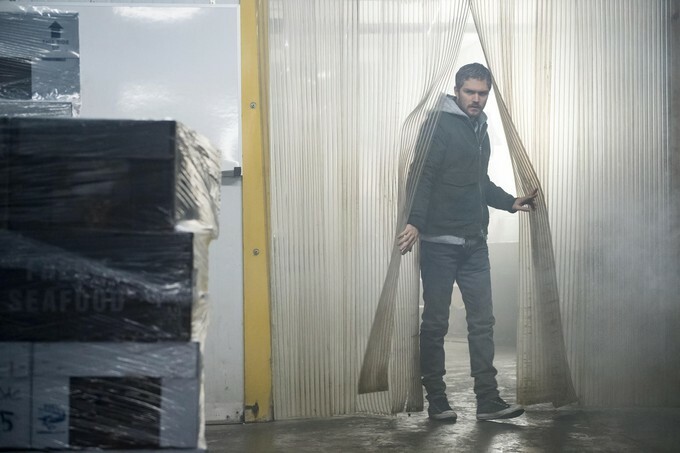 In Iron Fist Season 2, Finn Jones returns as Danny Rand aka The Iron Fist, tasked with defending New York City while continuing to seek answers to the unsolved mysteries posed at the end of the first season. Russ Sheath spoke with British actor Finn Jones (Game of Thrones) about returning to the role and what fans can expect in Season 2. Russ Sheath (RS): Hello sir, how are you? Finn Jones (FJ): I’m in New York at the monument, it’s very sunny and I’m about to move apartments so I’m in the middle of many, many, many boxes. Russ Sheath (RS): Fantastic, best of luck with the move. So, the first question….can you tell us how we find Danny Rand coming out of The Defenders and that awesome appearance in Luke Cage Season 2? Finn Jones (FJ): At the end of Defenders the last thing that Matt (Murdock aka Daredevil) says to Danny is “protect my city.” In Luke Cage, we find out that Danny has been protecting downtown while Luke has been protecting uptown, so they’ve been splitting that responsibility. In Season 2 Danny has been on the streets every night, powering up the fist more often and is more comfortable and confident in spending his nights taking down crime, however that is having a negative an impact on his health because he’s going at it full steam ahead. It’s also having a negative impact on his relationship with Colleen. So we find Danny in need of some balance and that’s the theme of the whole season, duality and balance, not only for Danny but for other characters in the season as well. RS: Coming out of the ensemble of The Defenders, were you looking forward to coming back to your character being in the spotlight again and what were you most looking forward to coming into season 2? FJ: As soon as I heard that we got a second season, the most important thing in my mind was that I was 100% ready to commit fully to the second season. I trained for 5 months, got mentally, emotionally and physically prepared for the role and my eye was squarely on the prize. Marvel introduced Raven Metzner the new showrunner and Clayton Barber who was the new stunt coordinator. We had new producers and directors and everyone who came onboard really shared the same Intent that I had, which was to come back into it, tell a really awesome Iron Fist story and really commit to it 110%. I was just really excited to get back onto the show, especially as we had Raven as the new showrunner. Raven is an awesome guy, he’s a very talented writer and showrunner but what makes Raven unique is that he has this passion, not just for comic book material but for Iron Fist, he really loves the character and the mythology. Once Raven started to tell me the story he had in mind, not just for Danny but also for Misty, Colleen and the other characters in the show, I was just super excited to get back onboard. RS: Going back to season 1, did you make a point of going back to look at the source material? FJ: I looked into all of the source material and I played special attention to ‘The Immortal Iron Fist’ as that was the one story I was told would be closest to what we were going to be creating for Netflix. I loved the visuals and the story and I also loved the different incarnations of Danny because he’s not the same in every story. In the newest run of Iron Fist Danny is a lot older and more grizzled, while in the ‘Power Man and Iron Fist’ stories he’s a lot more jovial while in the ‘Immortal Iron Fist’ he’s more jaded’. It was good to read the original comics just to get a general vibe of how different people have interpreted the character over the years. RS: Were you a comic book kid growing up? FJ: I don’t know how you feel about this, but coming from the UK I don’t feel that I was exposed to comic books as much as the American audience was. RS: I agree. It’s something I had to seek out - certainly when I was a kid I only had access to comics that were on the newsstand, up until the early 90s when I was first able to get to a comic book store. FJ: Right! So growing up, comic books were never really around me that much. So I never really grew up with them, but when I was a bit older I read ‘Akira’ and ‘Watchmen,’ I really admired those more adult graphic novels that struck a chord with me when I was at University. RS: Having come from ‘Game of Thrones’ which was this epic ‘genre’ piece and now into ‘Iron Fist’ which was another anticipated genre show as well as being part of the wider Marvel Universe. Is there any part of you that would just love to do a rom-com or a legal drama, something where you don’t have to worry about fan anticipation or spoilers, things like that? FJ: Not really. I feel like genre television is where all the interesting work is, as long as it doesn’t fall into the trap of becoming a cliche. We are seeing prestigious television channels and film studios taking on genre projects and making them cool…we’ll not even cool but making them prestigious, so I’m really excited to see HBO make ‘Watchmen’ because that is a prestigious comic book property. It’s a genre I really enjoy being in because of the amazing storytelling, it’s imaginative, fun, dangerous….a law drama or rom-com? Ugh! How boring would that be (laughs). RS: Are we going to learn more about the disappearance of Kun-Lun as we get into season 2? FJ: We definitely get more into the mythology of Kun-Lun as we revisit it in season 2, but this season is much more about the characters and we really focus on the backstory of the characters when they were in Kun-Lun. We look at what happened to Davos in Kun-Lun that led him to being so volatile to Danny how that plays out in season 2. RS: What do you most enjoy about playing Danny? FJ: There are many things. I really like Danny as a character, the most admirable thing about Danny is his strength of spirit and that despite everything that has been thrown at him and the adversity he has faced. Danny is able to approach life in a positive way and not become a jaded human being, he’s always fighting for the greater good. I also love all the martial arts, seeing these fight scenes come together is really exciting, watching them grow from an idea to choreography, to being filmed and then edited, that’s a really cool thing to see come together. RS: When you are cast as a character who is touted as ‘the greatest martial artist in the Marvel universe’, was there a moment of realization and ‘oh - this is going to involve some time in the gym’? FJ: Not at all. The attitude I’ve had since day one was that I wanted to apply myself and commit to the role with 110% energy, that’s all I cared about. The thing that has changed with the second season was that Marvel and Netflix allowed me the space to take the time to thrive. The thing that happened with the first season was that I was cast and then we went into production straight away. We tried as hard as we could to get up to speed but ultimately we were doing these very big fight sequences on a television timeframe, which is very challenging. Moving forward into season 2 and time was created for all of us to commit to the work, to put in the training and to rehearse and create sequences that would allow the show and the people creating the show to thrive. I would say that’s the biggest difference between season one and season two. A lot of passion and hard work has gone into this season. RS: Coming off Game of Thrones and now into Iron Fist, how has your experience been of Comic-Con and that really rabid fandom that GoT and Marvel attracts? FJ: I’ve been doing the comic-con rounds for probably around 7 years now and honestly, I have loved every experience at comic-cons and with fans. When you meet fans at cons or on the street they are so very positive and supportive. With Game of Thrones and then with Marvel, they create a really decent fanbase who care about the creation of a project and the artistry that goes into it, but also who care about the mythology as well. I really enjoy having a real conversation with the people who watch our shows. RS: Do you get an opportunity to wander around a convention floor and experience it? FJ: All the time. I’ve been to conventions in probably every continent and in many countries and I try to get out, not just onto the convention floor, but also to experience the country I’m in and to meet people and get to know the surroundings, I get pretty involved. Maybe one day I’ll dress up (laughs). RS: Lastly, how did it feel to finally put on the iconic Iron Fist mask? FJ: It was really cool. Both me and Sacha were fighting in the dojo for a fight scene in Kun-Lun so we both had to practice with the mask as it impairs your vision. The inner geek in me found that really cool and we giggled and took selfies, which one day may come out. It’s really cool to realize something that has been anticipated for a long time. A huge thank you to Finn for his time. Iron Fist Season 2 launches on Netflix on 7th September.